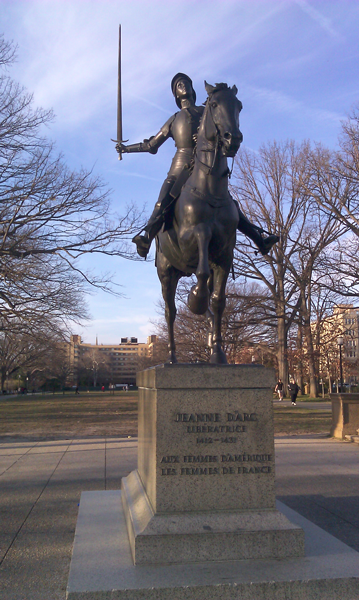 The only equestrian statue of a women in the nation’s Capital, the Joan of Arc statue was given to the United States by a group of women, Society of French Women of New York, and is dedicated to the women of the United States. Joan of Arc was born in the village of Arc in 1412. When she was 13 she heard the voices of St. Michael, St. Catherine and St. Margaret telling her to fight for France, which she did, driving the English from Orleans in 1429. In 1429 she was captured by the Burgundians, then tried in a French ecclesiastical court and convicted of heresy. In 1431, they burned her at the stake. She was 19. 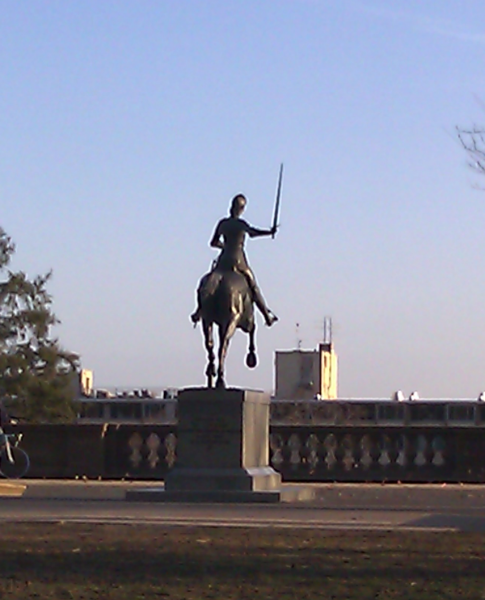 The statue portrays her in armor, looking toward the heavens, with her sword held high. The statue, by Paul Dubois (1829-1905), is a replica of the one he erected in front of Rheims Cathedral in 1896. President and Mrs. Harding attended the ceremony, as did Ambassador Jules Jusserand of France. Speeches at the dedication ceremony were given by U.S. Secretary of War Weeks; Mme. 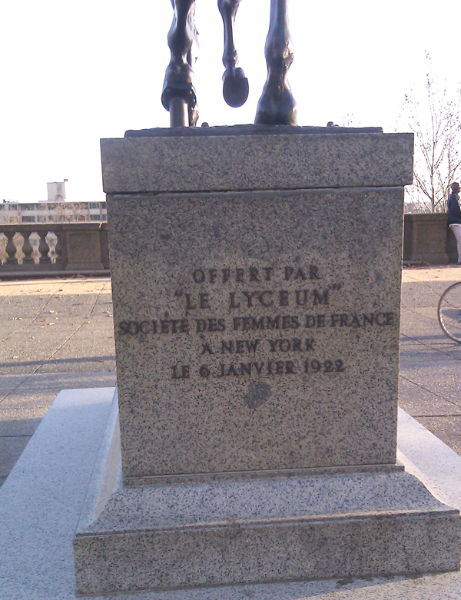 Carlo Polifeme, president of the Society of French Women of New York, which gave the statue to the city; and Mrs. George Maynard Minor, president of the National Society of the D.A.R., who accepted the statue on behalf of the women of the United States. Amb. Jusserand also presented a medal from France to Mme. 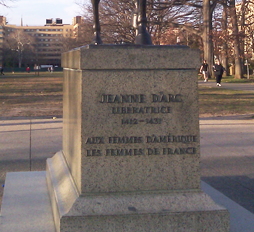 Polifeme for her work in getting the statue erected in Washington, D.C.
All posts, photos, and research by Fiona Clem.